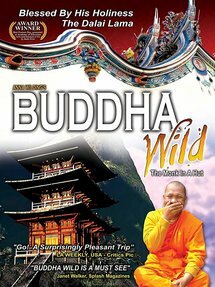 Buddha Wild Monk in the Hut is the story of a group of Thai and Sri Lankan monks, living around their temple in a country far far from home. Anna Wilding gives the commentary in this unpretentious but original and illuminating film with a well-judged mixture of seriousness and humor which is in important contrast to the monks words. An enjoyable cinematic experience. A fascinating film.